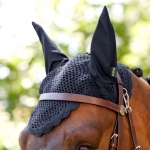 Protect your horse from pesky flies & insects with this stylish horse hat, poly cotton with ears. New and improved popular Cashel cap visor is now made from a durable, light weight closed cell foam. Unlike traditional helmet visors, Cashel's Sunbonnet Brim provides shade to the entire face. Cowboy Collectibles Horse Hair braided hatband with leather ends and adjustable clasp to fit any size. Cowboy Collectibles Horse Hair braided hatband with concho and tassels, fits any size. Cowboy Collectibles Horse Hair braided hatband with tassels and adjustable clasp to fit any size. Cowboy Collectibles Horse Hair stampede string, hold onto your hat with this spiral braids string. 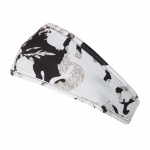 Keep your ears and forehead warm with this tough but lightweight headband.